Follow us! We post daily announcements, specials, pictures and promotions all of the time. Stay in the loop! We have many plans for Vietmeier Golf Center. Keep up-to-date with all of the facility and service improvements as we grow and expand. Updated gallery to come! View our photo gallery! 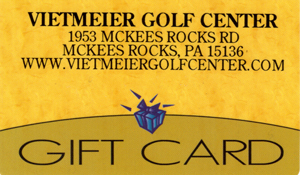 Vietmeier Golf Center is owned and operated by Ed Vietmeier, PGA Professional. 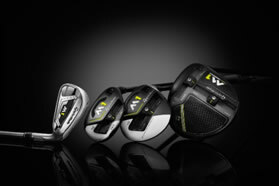 Vietmeier Golf Center is proud to be the TaylorMade Tuned Performace Center Pittsburgh. 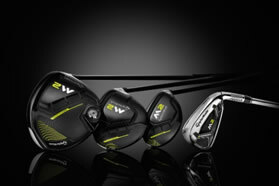 Looking to test the #1 equipment on tour! Come to Vietmeier Golf Center! Get Tuned for your next purchase. Download our PGA Instruction and VGC Services Brochure! Gift cards are available for every occasion. Purchase a gift card for your favorite golfer. Gift cards are available in any denomination ($25 or more).